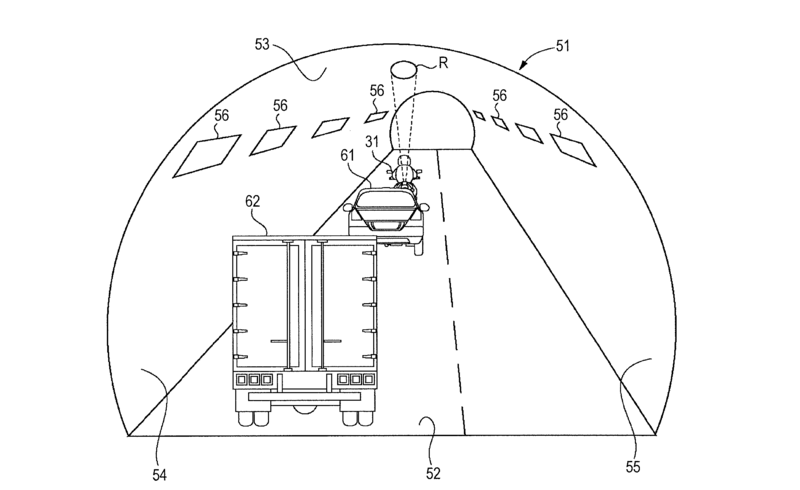 Suzuki has filed patent application for a system that would improve a motorcycle’s visibility when traveling through a tunnel. As most experienced riders know, and as John Burns noted in a safety tips article earlier in the week, drivers just don’t see motorcycles very well. Whether it’s because motorcycles are relatively small, or if drivers just have a blind spot for anything that uses less than four wheels, motorcycles might as well be invisible to them. If visibility is a problem in broad daylight, Suzuki suggests it’s a bigger issue when riding through a tunnel, with the low lighting, and tight quarters making it more difficult for motorcycles to be seen by other drivers. 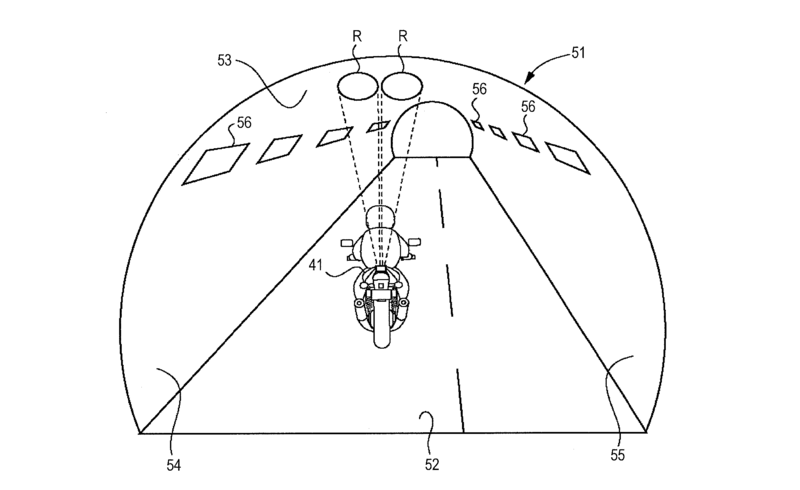 Suzuki’s solution is to have motorcycles project a beam of light vertically onto a tunnel’s ceiling, creating something like a beacon or a halo alerting others to the presence of a motorcycle. The tunnel lights (identified as #13 in the diagram) would be mounted on the end of the tail where they would be unobstructed and, also important, wouldn’t interfere with the rider’s own vision. The tunnel lighting system would be mounted to the tail cowl, giving it a clear projection to the ceiling of a tunnel. Suzuki specifies the lights should be sufficient to cast a tight cone of light (about 18-19 degrees or so), like a small spotlight. This drawing illustrates an example where a car might obscure a motorcycle from vehicles behind it. 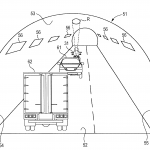 The driver of the truck may not see the motorcycle in front, but might notice the spotlight projected onto the tunnel’s ceiling. The light would also give the truck driver an indication of how fast the motorcycle is moving or if it changes lanes. 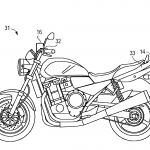 While there could be a switch to manually activate the tunnel light, Suzuki’s proposed system would also operate automatically, without the rider having to remember to turn them on when entering a tunnel. 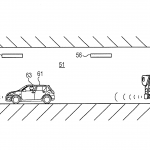 The system would use various sensors to detect when the motorcycle has entered a tunnel and then check if there are any vehicles following. The lights would then automatically turn on if the sensors determine the bike is in a tunnel with other vehicles behind it. 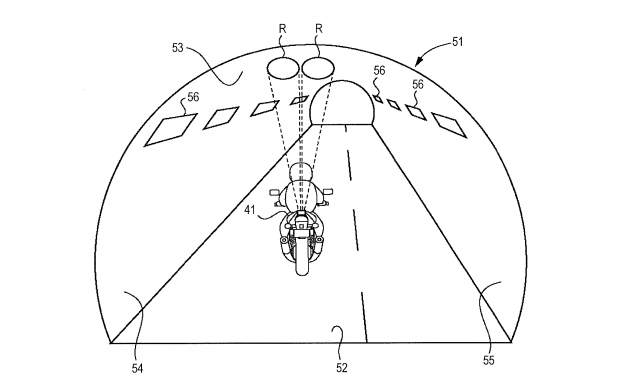 The light would also turn off once the motorcycle exits the tunnel. 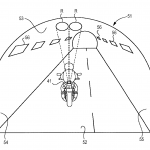 The patent application also describes a variation where multiple lights turn on as the system detects more vehicles behind the motorcycle. 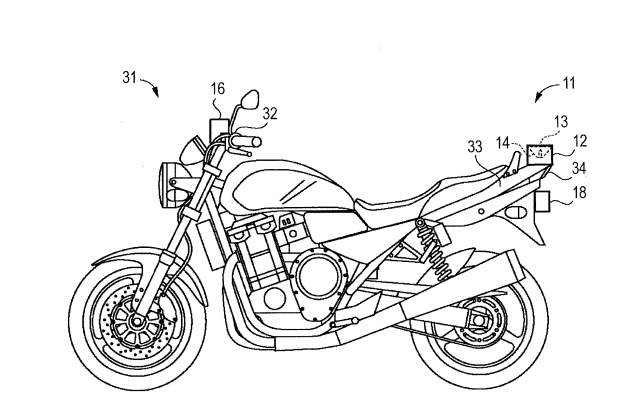 While we applaud Suzuki for thinking of new ways to improve motorcycle safety, it does seem odd to develop technology for one specific, and rather limited purpose. There is some utility for those who often ride along a route that includes a lot of tunnels or overpasses, we don’t expect Suzuki’s tunnel lighting to be useful enough for widespread adoption.